The Space Science and Engineering Center (SSEC) is an internationally known research and development center at the University of Wisconsin-Madison. One of the largest centers at the university, SSEC is situated within the Office of the Vice Chancellor for Research and Graduate Education. With a history of remote sensing innovation spanning more than 50 years, SSEC develops and utilizes space-, aircraft- and ground-based instrumentation to collect and analyze observations of the Earth’s atmosphere, oceans, land surface, and other planetary atmospheres to improve our understanding of weather, climate, and atmospheric processes. SSEC is a world leader in developing the algorithms and designing the ground and archive systems necessary to process atmospheric data collected from geostationary and polar-orbiting platforms. 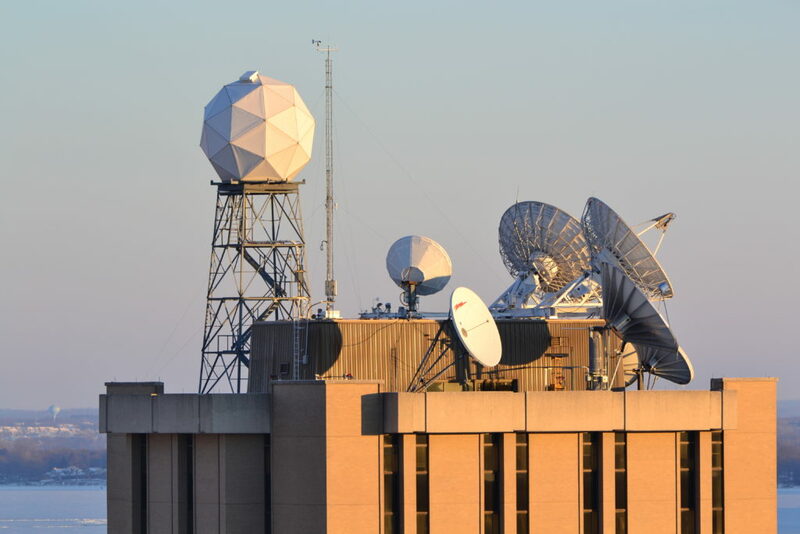 Housed within SSEC is the Cooperative Institute for Meteorological Satellite Studies (CIMSS), a world-renowned satellite meteorology research center and the SSEC Data Center. The Data Center holds the world’s largest online, geostationary weather satellite data archive that provides high quality, geophysical data to researchers, but also to industries that are affected by weather – from agriculture to energy to aviation. SSEC’s research breadth ranges from the study of new instrument technologies to data analysis, visualization, and product development. Numerous satellite data analysis algorithms developed by CIMSS and SSEC scientists are now used operationally by agencies such as the National Weather Service. SSEC scientists are committed to sharing their efforts, tools, and knowledge with the global research community.